Doctor’s main role and prior responsibility is medical treatment of patients. Doctors can also share their expertise in nutrition care of patients in hospitals. Optimum nutrition affects both the response to medical treatments and eventually recovery. Doctors are usually perceived as the best source of information, by patients. In addition, they must provide some nutrition information to patients, in order to provide good care to patients. Doctors can motivate patients to eat healthy and also guide patients for dietary modifications to help in recovery. The present study, exploratory in nature, was carried out in Srinagar to have an insight and know the role and perspective in patient care especially in context of nutrition services, in the hospitals. The objective of the study was to investigate about if doctors were a part of nutrition care. Study sample consisted of 62 doctors, representing 2% from each hospital. Data was gathered using an interview schedule followed by observation and discussion with doctors. A scoring pattern was formed to evaluate doctor’s perspective and their role in nutrition care of patients. Data was collected from 11 hospitals which provided nutrition services to patients which were included in the study. It was seen that doctors appeared to have a minimal role and little awareness of the assessment of nutritional needs of patients. Doctors reported that they briefly discussed the diet with some of their patients. Nutritional assessment was not done during the patients hospital stay. Their interaction with dietitians was also not adequate about patients nutrition care. It was concluded that there was a need to increase the awareness of doctors about the importance of nutrition care of patients. 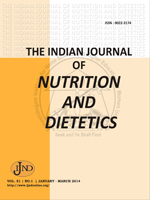 However what was encouraging was the response of the doctors towards the need for dietitians, providing a balanced diet and nutrition counselling, perhaps indicating some realization that dietitians were required for improving nutrition care of patients. Hospital, Doctors, Nutrition Care, Patients, Balanced Diet.